Nollywood star actress and philanthropist Tonto Dikeh is one of those parents that would go the extra mile to protect son. Last few years have shown how dedicated she has been towards her son, King. 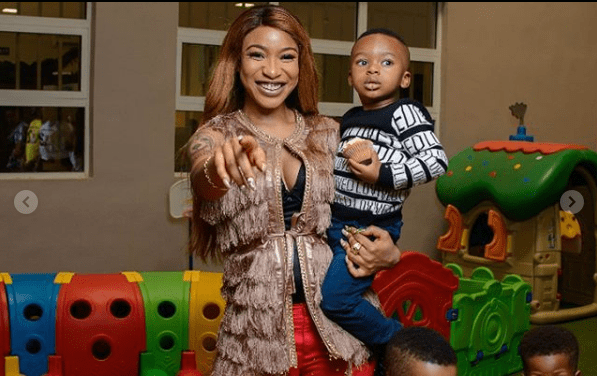 Tonto Dikeh is using all her ability to protect her son as she has installed CCTV cameras all over her house. The Nollywood Actress has taken to Instagram to share the biggest investment she has ever made as a Parent, she considers the CCTV in the house will enable her watch over her son.